It's final: Schneider tankers it is! I'm interviewing with the Schneider tanker division tomorrow. I live in Pittsburgh and will go through the company sponsored training school if I decide on Schneider. Is there any advice you can give me? Hey Chad, sorry for the late response. Have you decided one way or the other about Schneider tanker division? Basically, be serious about learning what they are teaching you and don't do anything that will cause them to question your integrity. All the instructors I had were good and very much wanted to see each of us learn and succeed with them. I did see one person get sent home quickly due to a matter questioning his integrity but I have no idea if there was more to the matter than I was aware of. In any case, be professional in how you approach your career and all else should fall into place. I just completed the training and initial testing in Coraopolis PA and will probably start my time with my training engineer (doing actual work) on Tuesday. Please let me know if you have specific questions and I'll do my best to answer them. Thanks everyone just to update i finally have my hard copy of my cdl and ill be leaving this weekend for roehl. I will be starting on 7/13/15 for my new career that i have honestly been waiting 10 years to start. I will update my journey periodically here to cover their training and such until i finally go solo. That's great. Roehl came through our school and it sounded very good. I wish you the best. I chose Werner, and have been with them for 8 months now. They do have multiple opportunities. I started on a walmart dedicated, hated it and switched to a 3M dedicated that I really enjoy. Wal-Mart was a multi stop store delivery with a multi zone reefer. 10° below, 32° & 35°, having to shift pallets in and out of the trailer. It paid .32 cpm, plus $15 per stop not counting your 1st or last store, and you had to get the delivery done by a certain time. As of July 1st, 6 months into the year, I have grossed $24,729 for the year, and have taken 2 weeks off You can be home every weekend, or stay out and run. I would average 2400 miles per week if I went home weekends, if I stay out for 2 weeks, I average 3400, my best week was 3800 paid miles. Brian, Thanks. It sounds like you have found a good place in Werner. It goes to show all of us that one particular situation may not suit us very well but that shouldn't be a reflection on the whole company; just that particular account for that particular person. I'm glad the 3M account is working out well for you. I mentioned it on another thread here but wanted to let anyone interested know that I have finally chosen to drive tankers for Schneider National! I graduated Tuesday, chose Schneider today (Thursday), and will drive to Pittsburgh Sunday to start orientation Monday morning. Yes, I'm jumping right in. Although I wish I'd documented my journey to this point much more thoroughly on TruckingTruth, let me say now that this site and the people on it have a lot to do with me getting to this point. You have given me and others a positive, yet honest, view of the truckers world and have provided valuable advice along the way. I've read so many of your stories and the responses you've received and have benefited greatly. Let me encourage everyone who is either in school now or is seriously considering getting into this trucking world to take full advantage of this site; both the wisdom available and the study tools. The blessings will pile up. However, if you want to hear people ripping each other apart, ripping companies to shreds, and generally hating their jobs, then this is not the site for you (consider yourself warned!). Hey Old School, My purpose of posing the question was to see if there are any final facts and thoughts I needed to consider in making a wise decision. As Brett encouraged me to do when I got serious about my job search, I have tried to reach out for any wisdom available here before making a decision completely on my own. Thankfully, I have received excellent advice including at a few responses from you along the way (this one included). Brett didn't want to see me go off and make a half-****ed decision, report it here to everyone, and only then find out true facts that could have helped me come to a better decision. For the record, I never go to other sites and read the negative and I don't think I've paid attention to any that might make it through here. As you may have noticed, this particular thread was assuming I was wanting to pull dry van. That was simply to keep the water clear and to focus on my final two companies in that category alone. There is no sense in asking about specific jobs that are in totally different categories since the only determination there would be what do I ultimately want to do...no comparisons needed there. Although I was serious about Swift and Werner, ultimately I have chosen neither of them. My final decision has come down to wanting to start out pulling tankers. Therefore, I am going with Schneider! I am very happy with this decision and hope to report the same over the next few weeks, months, and even years. I believe I would be happy in any of the categories as they all appeal to me in one way or another (even reefer). However, I would probably have some regrets if I never, at the very least, gave tankers a try. During this whole process which really started a few months ago for me, no matter where I let my mind wander, I have always come back to wanting to pull tankers. Several drivers that I've spoken with have praised Schneider's training program. I trust them to teach me what I need to know to be safe and successful and I know I'll work hard to prove myself to them. I thank everyone here for helping me up to this point and suspect I will continue leaning on you guys some going forward. Sometimes we get the strength we need to make it through the rough times by knowing others have gone through the same stuff and have come out the other end of it still standing tall. I hope I can help others as I've been helped here. Any thoughts on choosing between Swift and Werner? Assuming for the moment that I want to pull dry van to start out, it looks like a choice between these two companies. Guys, Thanks for the excellent feedback. This is why I love TruckingTruth and have told many people about it, even some of the recruiters I've spoken with. Old School, You've given me great stuff to think about. Yes, you are completely correct that I have been, at least in part, looking at the pay differences. Part of the reason for my post was to get an insider's perspective on whether there will be a difference at the end of the day (or 1st year) in the pay and, if so, how much is the difference. Then that "extra" pay needs to be compared to the additional responsibilities one is accepting, the amount of work that is required, and whether I would enjoy that work. Your point about the overall compensation being a wash, "especially for an introductory level driver," lines up with a suspicion I've had but couldn't figure out on my own. Certainly the recruiters' info will not make this very clear. If this online community's (TruckingTruth) main point to those of us starting out in trucking could be summed up in one paragraph, you may have just done it. A trucking career will be what we make of it. It is performance based and if we enjoy it and take responsibility for our own success, we can make any situation a good one. For several months now, I've allowed that sentiment here to be drilled into my head. It's generally the way I think anyway, but it's helped a bunch to have the veterans here refuse to allow drivers to blame one company after another for their lack of joy or success in this industry. I plan to get into the "core group" of drivers wherever I land and being as "indispensable" as possible. I realize that saying this won't make it so but it is my intention to stay thankful for this opportunity to start a new career and become a true professional over time. Your point about this being easier if you enjoy what you are doing is well-taken. Your point about flatbeds and having to do math and calculating the load securement measurements is the first time I've really thought about that. That would be one of the things about flatbed that I would very much enjoy but it might be one of those things others would struggle with or simply not enjoy. I'm glad you mentioned it. The fact that only a couple of companies that I'm aware of will hire entry level drivers for tanker tells me something. It makes me think twice. However, one of those companies is Schneider and everyone I've spoken with who has direct knowledge of their training program have raved about it. That encourages me should I make the choice to start with tankers. I don't think a company with a great reputation for training would allow rookies to drive tankers if they weren't confident they could train them to do so safely. Finally, one of my problems has been narrowing down the good options before me. I will take your advice and run from there. Thanks. Sorry for screwing up my response to Old School. I tried to respond to several of his quotes one at a time and realized, after submitting it, that I didn't do it correctly. Old School said it well but I will add this.... When you learn to drive a van or refer you will learn to drive a certain way and those become habits. Habits are hard to break and could be disastrous when switching to a tanker or a flatbed with a top heavy load. Pick what you want to do and go from there. Pat, This has been one of my thoughts about tanker. My thoughts do come from a bit of ignorance on the matter, though, so it is good to hear you give your perspective about the habits we learn. Being that one must be even more cautious and controlled when driving tankers, if I'm taught to do it properly from the beginning, I'm confident I will do it as taught. Then, should I transfer to another division, it seems that it would be easier to adapt to the different safety needs. I should have asked for "advice", not the verb "advise". Okay, so I'm not the best speller! Hi All, Well, I am just about finished with my driving school (3 hour night drive and my test should happen next week) so I am at crunch time with regards to picking a company and the type of loads to haul. I will probably start another thread asking for advise about the particular companies I am considering. But for now, let me start with asking about the type of trailers to pull. I am still uncertain about whether to jump right in and learn flatbed or tanker, or if I should stick with dry van/reefer in order to focus on learning the basics first before adding extra skills right away. My thinking goes something like this: As long as I'm spending time learning the ropes regardless of the type of load I'm pulling, I'd rather add an extra skill or ten while I'm at it in order to become "more valuable" to a company more quickly. Also, I do desire to learn all of it over time (partly for the challenge, partly to try something new from time to time). Regarding flatbed specifically, I am 47 years old, in fairly decent shape (still overweight but have strength), had neck surgery last August (totally recovered and doing great)...I am not very concerned about being able to do the physical work but others might be. I realize if I don't jump into flatbed within my first few years as a trucker, the opportunity to do so will probably pass me by. Regarding tanker, I love the thought of all the opportunities that would be open to me should I learn tanker and do it safely. However, some may have concerns with rookies jumping right into driving tankers with the surge and high center of gravity. My basic thinking here is if I'm going to learn to be safe while driving a dry van, I can also learn what it takes to drive tankers safely as well. If one starts out learning to take turns even more cautiously than other drivers must with other loads and to brake in an even more cautious fashion, it seems to me that great safety habits can be formed quickly and won't be lost should such a driver later switch to other types of trailers. Finally, what will the reality be with regards to pay with the different trailers? How different will the miles be and what non-mileage pay must truly be recognized as significant factors affecting total pay? Generally speaking, dry van pays the lowest cents per mile while flatbed seems to pay the highest. In the end, does this difference wash out due to mileage factors or load times? 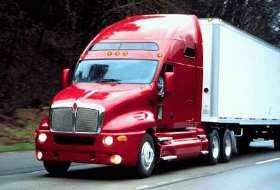 Does the higher pay per mile with reefer get washed out compared to dry van because dry van may have much more drop and hook (less waiting around)? Tankers probably get the lowest miles per week but does this get compensated for with tank washing pay, unloading/loading pay, etc.? I wanted to give everyone a look inside my mind (scary, isn't it?) not to push my ideas as being correct but rather so you might know what ideas I have that need to be corrected, or at least challenged, and what I am completely missing altogether. Any thoughts, questions, concerns, or miscellaneous comments? Welcome to the forum, Pamela. Although I don't know anything about refresher courses, I have looked into driving tanker for Schneider. Schneider and CTL Transportation, Comcar Industries' Tanker division, are the only two companies I know of for sure that will take rookies into their tanker division. Now you might have more companies to choose from being that you are no rookie but others might be able to advise you better about that point than me. Before getting to Schneider, let me say that Comcar impresses me for a few reasons but the main thing to mention is all the areas in which a rookie can get started. Tanker, flatbed, reefer, and dry van are all available possibilities. They have a couple of other divisions too but they are specialized and might not be available without experience. Well, on to your question about Schneider and their Tanker division. I have had two phone interviews with them and received a pre-hire letter from them yesterday. Unlike any other company that has given me a pre-hire, I appreciate Schneider taking significant time talking with me, finding out if I might be what they are looking for, and giving me the opportunity to find out if they are right for me. I might be the only one who thinks this way, but that goes in the "positive" column for Schneider. To give you some details, Schneider's Tanker division offers both OTR and Regional opportunities (at least where I live). It pays 37 cpm for OTR and 32 cpm for Regional after training is complete. They increase it to 42.5 cpm after 6 months for OTR and to 35 cpm for Regional. They say about 15% of your total pay will come from accessorial pay items such as loading ($25), unloading ($35), cleaning the tanker out ($20), etc. for OTR and about 25% for Regional (they pay a higher $ amt for some of these duties for Regional to make up for the lower miles). The average miles for OTR Tanker is around 1900 miles/wk and about 1500/wk for Regional. About 2/3 of the loads are non-hazmat. Yes, a hazmat endorsement in needed but you do not need it before getting hired. You will also need a TWIC card but it too is not needed before hire. You will need your Tanker endorsement before you show up to orientation however. OTR will require you to be on the road for a couple of weeks at a time but you can select your 6 days off each month. Really, though, they restrict this to going home only two times a month (one 6-day home time if you so choose). Regional Tanker will get you home every 5-6 days plus 1 or 2 other times during that week (at least in my area). A few other details that are specific to Tanker include the clothing. You must wear long pants and long-sleeved shirts when outside the truck. I believe steel-toed boots or shoes will also be required. Drivers must be clean-shaven at all times since a breathing apparatus will sometimes be necessary. I realize this is not pertinent to you as a female but if other drivers are reading this, they might want to know. Training for Schneider's Tanker division takes place in either Houston, TX or Coraopolis, PA just outside of Pittsburgh. I will attend the one in Coraopolis if I choose Schneider. Training (including orientation) will last 30 days. This includes approximately 2 weeks at the training facility doing paperwork, taking a physical test, drug testing, etc. and then much time training. Then it's 10 days on the road with a trainer followed by 3 more days back at the training facility. Then you go home for 3-5 days to see family and get things ready to hit the road in your own truck! I know I've rattled off several details and hope it helps you. Please feel free to ask any questions you may have. I would be happy to try to answer them and I know others here will be too. I wish you the best. Hey TopNotch, Congrats. It sounds like things are going great for you with Schneider. I am in school now and am considering joining their tanker division. It is good to hear positive and encouraging words about them from someone who's with them. I appreciate it. Starting school in the morning. Tom you can try to check with places like Wal-Mart to see if they will let you park a truck there for a couple of days. I've seen drivers make all kinds of arrangements with places that have a large enough parking area to get a truck into. Sometimes you may find a restaurant or a large convenience store, or whatever. If you live anywhere near an interstate or even a small state highway with a truck stop nearby you could park there and have someone come pick you up for your home time. Keep your eyes peeled for places around your town that might work - you have lots of options. Don't limit yourself to companies that have nearby terminals. Thanks, Old School. I totally forgot about Walmart being a possibility. Other places might be too. Will look around and will definitely keep options open. Individual companies might even have some arrangements made since Charlotte is a fairly major intersection with both I-85 and I-77 coming through here. Will ask them too. Here's a question: One thing that has me limiting the list of companies that I can consider (at least in my head) is there are only a few companies that have terminals in Charlotte, NC and I will not be able to park my truck at my house. If I go with one of the many companies hiring in this area but they don't have a terminal here, how can I handle this? What options are there that can solve this issue? Hey Craig H. and Jake Break, Today we took some tests and did a lot of work on manual logs and the rules. We are also doing a pre-trip inspection as a group every day. So far, the instructors have done it both days but I suspect we will get to start doing them shortly. It's funny, today our instructor got interviewed by the local Fox station and will be on the news tonight. Apparently, there is some talk in NC to limit or ban trucks from parking on exit/entrance ramps for "safety" reasons. They interviewed him for this topic and also asked him about the driver shortage. If anyone is interested and has access to Fox 46 Charlotte, it's on the 10 o'clock news. In fact, they did take a shot of us in the classroom. If they show it, I'm the goofy looking guy in the grey t-shirt sitting in the middle of the room. This could my shot at 1.3 seconds of fame. Tom, to answer your question the best pay will normally be found in jobs that require more of a driver, like flatbed or some sort of specialized hauling. Most of the best paying jobs require at least some OTR experience, even as little as 3-6 months. However there is one exception to that and it's linehaul or LTL trucking. Traditionally linehaul companies were union companies. Today some of them are union, some are not, but they all still pretty much pay union wages. The Teamsters are the union I'm referring to and they're in companies like Yellow-Roadway, Old Dominion, and USF-Holland. Those linehaul jobs pay way more than most any trucking job you'll find anywhere and are well worth looking into. It's hard to get into those companies straight out of school but it has been done a few times. It's well worth the wait if they require a bit of experience. Hey Brett, Yes, linehaul is actually an area I am looking out for as well after reading everything 6 String has written. Until he posted about his pursuit of linehaul and then actually getting the job when it was considered rare, if not virtually impossible, for someone straight out of school to get such a gig, I had never heard of the word "linehaul". His writings very much intrigued me, and the fact that you can be home much more than OTR but still accrue a good amount of miles at a very high cpm got my attention. I have a friend who did this for UPS for many years (I didn't know what it was called then) and I always thought that if I ever drove, that type of driving might be for me. Who knows?! A major part of what will play into my decision making is that I am married and it will be hard to leave my wife alone for extended periods like the first year or two will probably demand. We both accept this but it doesn't make the thought much easier since, as with hopefully all married couples, we got married to be together. That is one of the reasons linehaul is appealing even if it's not very likely immediately (still keeping my eyes and ears open though). Other than the little detail about being married (slight understatement!) I really think the OTR lifestyle fits me pretty well. Like everyone, lots of factors to consider. Hey Tom i started a post in the diary's section. Im gonna keep everything updated there. I had a pretty good first day it was mainly going over policies and studying the cdl book so pretty boring overall. That's good. I'm a bit embarrassed to ask though, being that I really have been on this site for some time now, but where is the diary's section? I am unfamiliar with it. CDL Training Diaries Forum I think thats a link to it im not sure i did it right.